Nintendo's been a bit funny about this whole "launch window" thing. They've decided that the first few months after the Wii U launches will be deemed as the "launch window." Here, in their own words, is that definition. Launch window is defined as the period beginning Nov. 18, 2012, and ending March 31, 2013. So, those games you've been reading about (and some that I've been exceptionally excited for) might not be available to purchase on November 18th. They'll be out before the end of March, obviously, but they won't necessarily be sitting on the shelf when you walk out of your retail shop with the Wii U in hand. There are launch day games, and then there are launch window games. Here are the games that will launch on November 18th with the Wii U. Everything else will launch sometime before the end of March. The big titles missing the launch day are games like Pikmin 3, The Wonderful 101 and Rayman Legends. 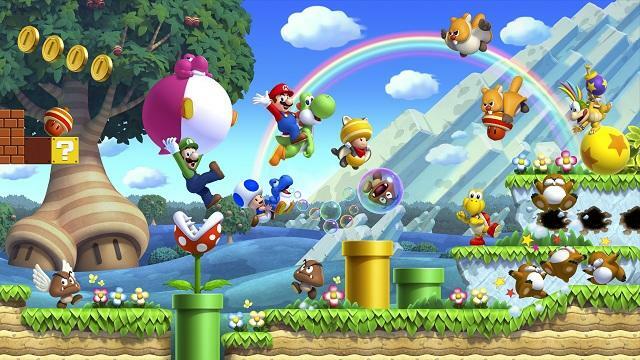 Still, we'll be able to enjoy the likes of ZombiU, Nintendo Land and New Super Mario Bros. U. Those three games alone are strong contenders for the holiday season, regardless of surrounding the launch of a new console. Has this delayed your need for the Wii U? Or, are you just fine with what's being offered on day one? REDMOND, Wash.–(BUSINESS WIRE)– Nintendo is unleashing the largest launch-day video game lineup in its history for its new Wii U™ home console. When Wii U launches in the Americas on Nov. 18, 23 games from Nintendo and its third-party publishing partners will be ready to play as well. These include Nintendo-published games like Nintendo Land™, New Super Mario Bros.™ U, SiNG PARTY™ and NINJA GAIDEN™ 3: Razor's Edge, as well as third-party powerhouses like ZombiU™ from Ubisoft, Call of Duty®: Black Ops II from Activision Publishing, Inc., Disney Epic Mickey 2: The Power of Two from Disney Interactive, EA SPORTS™ FIFA Soccer 13 from Electronic Arts and Scribblenauts™ Unlimited from Warner Bros. Interactive Entertainment. "We're making sure that Wii U owners will have great games to play from the moment they open the box, and that a steady stream of fun new games is always on the way," said Reggie Fils-Aime, Nintendo of America's president and COO. "We have something for everyone, from new franchises to creative new approaches to familiar favorites."